There’s a bike that nobody seems to be able to ride. Dustin at SmarterEveryDay took this normal-looking bike to conferences and university seminars all over the place, but nobody seemed to be able to ride it. Why is this? The ‘Backwards Brain Bicycle’ looks just like a regular bike, doesn’t it? There’s more than meets the eye, though. 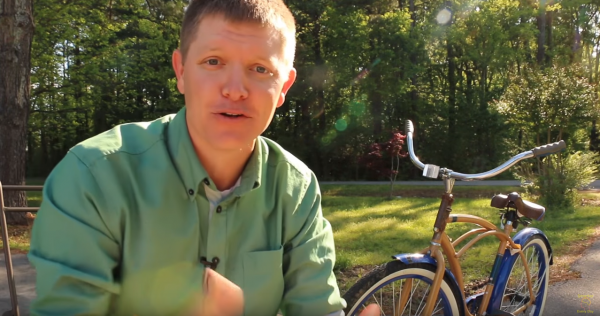 It turns out that Barnie, a friend of Dustin’s, made this special bicycle as a challenge for Dustin, who has won awards such as University of Alabama’s Engineer of the Year. 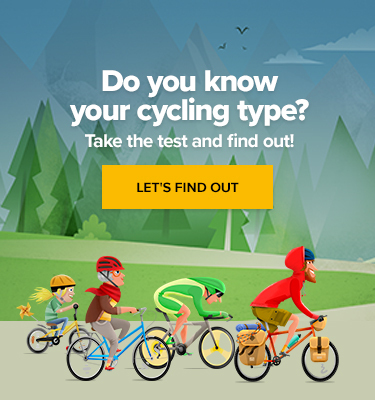 The key is that when you turn the handlebar to the left, the wheel goes to the right, and when you turn the handlebar to the right, the wheel goes left. It sounds simple enough, right? That’s what he thought, but he just ended up falling off the bike. Being intrigued, he then took this bike to conferences and university seminars in various places and discovered that nobody else could ride it either. Why? As Dustin explains in his YouTube video, once you have a rigid way of thinking in your head, sometimes you cannot change it, even if you really want to. So he practiced for five minutes a day to see if he could learn to ride this strange bike. After eight months, he finally got the hang of it, just to realize that he could no longer ride a normal bicycle… As he puts it, he had set out trying to prove he could free his brain from cognitive bias, but ended up just proving he could only redesignate that bias. Food for thought!